We’re walking home after school. The birds are chirping. The azure sky is perfection. The children are yelping and prancing. “What did you do at school today?” Nothing. I try my oldest child who is less tired. “Galen, what did you do at school today?” I ask cheerfully. Nothing! Perhaps I’m mistaken, but I expect that they didn’t plug my children into some kind of giant zombie juicing machine. Perhaps I’m wrong. Or perhaps all the children just sit on their chairs staring into space all day. Come to think of it, I don’t think my children are capable of doing NOTHING for more than 2 seconds. What was it that Winnie the Pooh said? These are the wrong sorts of bees. I suspect that I have the wrong sorts of questions. 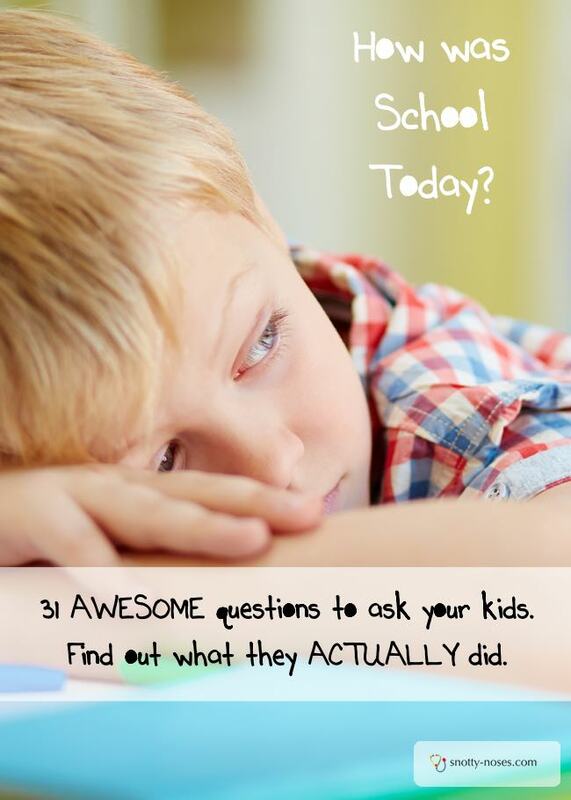 Knowing how to ask questions to get answers is a great parenting skill. Who did the naughtiest thing today? Who did the kindest thing? Who said the funniest thing today? What did you do at patio time? Did your teacher do a somersault today? No? Oh, so what did she/he do? What is the most interesting thing you learnt today? 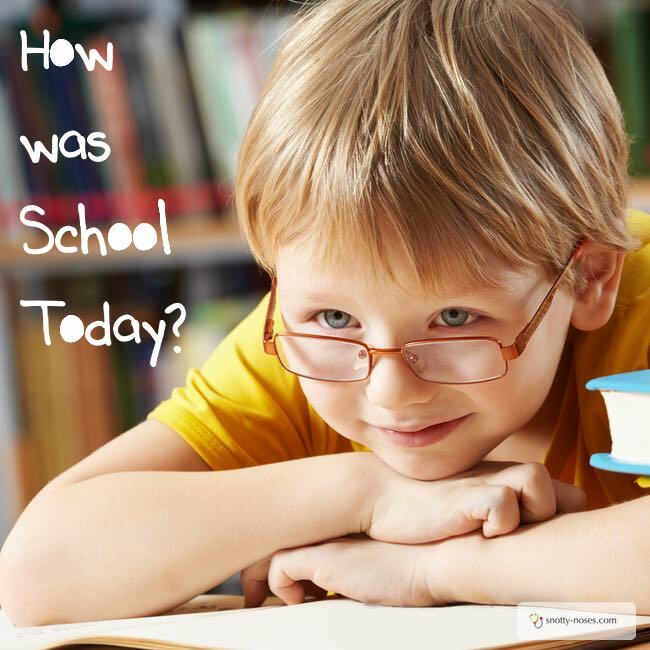 If you could change one thing about school, what would you change? Did you get scared today? Who would you like to play with that you didn’t play with? What was your favourite bit of the day? What was your least favourite bit? Who did you see that you don’t normally see? Who didn’t you see that you do normally see? What is the best and worst thing about your teacher? What is the best and worst thing about your school? What is different about today and a year ago? What was your favourite bit of lunch or snack? Who did you sit next to at lunch (or snack)? Did you remember any jokes to tell them? If your class was the crew of a pirate ship, who would do what? If your teacher got attacked by a giant jelly fish who would be in charge? Try to ask open ended questions rather than ones which have a “yes” or “no” answer. Silly questions like pirates, somersaults and jellyfish are good to get them to laugh, even if you don’t get a sensible answer. At bath time, I try again. "Who did you sit next to today"? Before I know it I have an entire story about how Dante wanted to sit next to Luke but Luke didn't know so he sat next to someone else. The next night he told me that he did manage to sit next to Luke for a little bit and next to Paula for another class but mostly he wants to do the same things as Luke. Now I have a glimpse of their world and it makes my heart sing. When you ask your children the right sort of questions, you'll find that they do so much more than nothing.